This horse’s form has shown downhill since his year 2013 july. I presume one of the the crucial causes is that he’s been carring too much weight for long time. After 3monthes layoff ..will he recovered? Whenever this horse appears somewhere in the some race card.this horse always make me wonder. He doesn’t got balanced pace line structure. In this race card there are couple of strong late speeders. Race result will be depend on tack variant. Track gonna be favored to earlies or other than earlies. I need to check horse’s weight change. Pace contention will be fierce.. Probably will be ranked second faster so far this year. This race my projecting gonna be somewhere between 47.4-48. If faster than this,need to approach differently. Of course,above hores could handle the fast pace..
You know ,all my selection based on guess. Oh..man!..my english are always not perfect ..title was;Highlight race…. 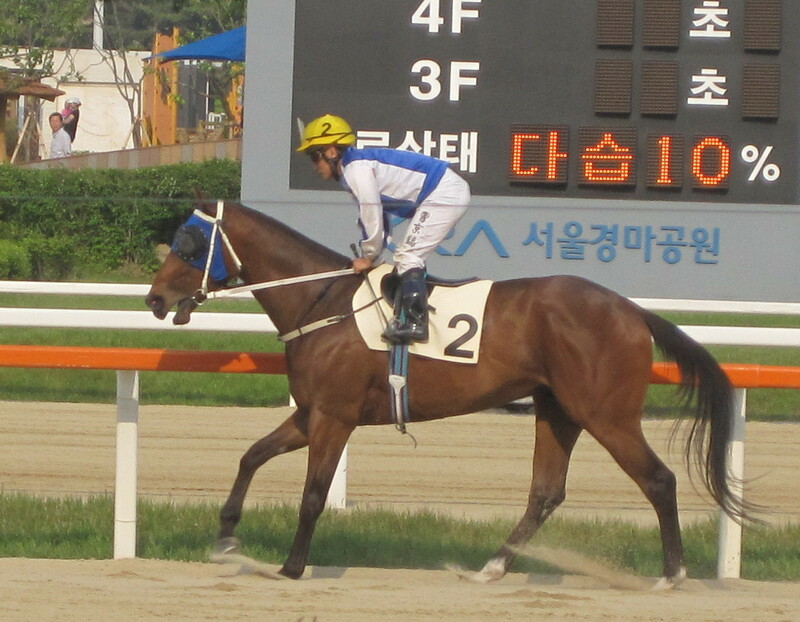 first time ridden by the track’s premier rider moon se yong…..change the jockeys number one would have win that race…..